Over-the-counter teeth whitening solutions such as whitening strips, toothpastes, and gels may seem like an affordable, quick fix for stained and discolored teeth. However, many patients who have used them are often very unhappy with the results. This is why Dr. Levenson of Levenson Smile in Shrewsbury strongly suggests patients consider the benefits of professional grade whitening products. Teeth whitening is done by safely bleaching the enamel of the teeth to lighten them several shades. This results in a more brilliantly stunning smile in a shorter period of time. Unlike over-the-counter products which can take months before noticeable results are achieved, professional teeth whitening products can providing a drastic different in just a few days. Dr. Levenson of Levenson Smile provides the KoR whitening system for his patients. This whitening system uses a combination of both in-home whitening trays and in-office treatments. Patients start out with a professional cleaning of their teeth to remove plaque, tartar, and bacteria from the surfaces of the teeth and gum tissue. Then, an in-office treatment is performed for an immediate boost in results. Patients are then supplied with a custom-made take-home whitening tray which uses a special gel to further improve the color of the enamel. Once several weeks of whitening have been done at home, patients return one last time for a final in-office treatment. The results from this method are amazing and unsurpassed by any over-the-counter whitening solution. The cost of teeth whitening through a dental professional in Shrewsbury can vary depending on many factors—including the possible need for patients to replace existing restorations which may not respond to the bleaching including veneers, crowns, and bridges. This can add onto the cost of teeth whitening but provide a seamlessly beautiful look once the entire process is complete. 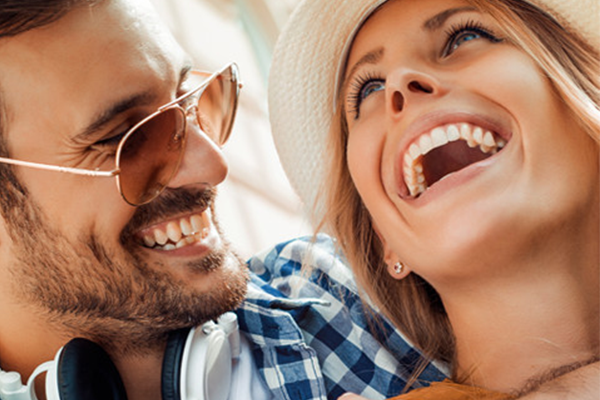 If you live in the Shrewsbury community or surrounding areas and have considered the benefits of whitening the smile professionally, it is important to seek out a dentist with the experience and trustworthiness to achieve optimum results. Dr. Levenson of Levenson Smile has been in the business of providing unforgettable smiles for many years and is happy to assist new and existing families in his state-of-the-art dental facility. Contact him today to schedule an appointment and learn about the benefits of professional grade teeth whitening.